Does India have a corporate governance problem? We analyse the reasons for this and the issues that companies need to focus on. What exactly is corporate governance? Corporate governance is the system by which companies are directed and controlled. It needs no reiteration that the Boards are responsible for the governance of their companies, since shareholders appoint the board purely for that purpose. The board is supposed to set the company’s strategic goals, provide a leadership to execute these goals, review the management of the business, and report the progress to shareholders. In a nutshell, corporate governance is about ensuring that the company management is acting in the larger interests of shareholders. In fact, a key facet of corporate governance is the role that independent directors on the board play and how they act as a sounding board when the promoter group is straying from its core objective. Why does India have a corporate governance problem? Corporate governance issues arise due to various reasons. 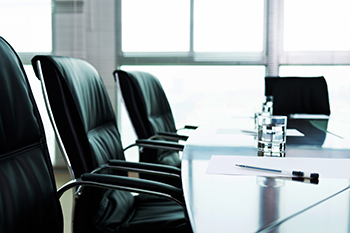 Firstly, independent directors are people with a high reputation and immense experience who generally sit on multiple boards. The last thing they want is to be seen as trouble makers for the management. The best step that independent directors have taken in the face of such conflicts is to resign from the board. Secondly, institutional shareholders have not been very assertive on the boards. FPIs typically leave the corporate governance issues to proxy firms. Domestic institutions prefer not to disrupt the existing management to protect their investment value. India really does not have influential investors like Carl Icahn, Ackman, and Daniel Loeb who can pressure the managements. Thirdly, proxy firms are yet to take off in India and the handful of proxy firms, at best, play the role of a sounding board for shareholders. Last but not the least, managements have not really worried about corporate governance since there is no direct and established correlation between corporate governance standards and the market value of the stock. Markets have seen stocks turning out to be multi-baggers with a good product story and little focus on corporate governance. However, what is happening in the last few years is that any negative news flows on the corporate governance front has been leading to sharp value destruction. This was observed with respect to the stocks of Yes Bank, Infibeam, Dewan Housing, and P C Jewellers among others. That may force boards to become a lot more vigilant. Why corporate governance is very important today? One can safely argue that the equity cult is yet to spread in a big way and hence the impact of corporate governance on small shareholders is minimal. But here, the core point goes for a toss. There is a massive retail influx into equity mutual funds and that makes them indirect shareholders. If bad governance destroys the value of stocks and bonds, then it indirectly impacts the NAVs of mutual funds. Today, the mutual fund industry manages nearly Rs25 lakh cr worth of assets of which nearly Rs8 lakh cr is in equities and another Rs10 lakh cr is in bonds. We saw how mutual fund NAVs took a hit due to excessive exposure to midcap stocks of dubious quality. We have also seen how exposure to IL&FS debt created problems for many mutual funds. Retail investors are infusing nearly $1.2bn per month in the form of SIPs. That means small investors do have a major stake, indirectly if not directly, in ensuring that corporate governance standards are practiced. Is the board performing in the larger interests of the shareholders? For example, in case of IL&FS, not a single red flag was raised by any board member. Better corporate governance could have easily resolved the issue. Ensuring that independent directors are actually nonpartisan. In fact, the onus should be on independent directors to keep a tab on the promoter directors. That is only possible with a more transparent framework for evaluating independent directors. Does the company have adequate risk management systems in place? In case of IL&FS, independent directors were required to red flag the maturity mismatch. With respect to ICICI Bank, independent directors almost dismissed the allegations till the pressure built up. Corporate governance should place major focus on cyber security. We have seen how data has been misused in case of Facebook and Yahoo. It may be extremely mission critical as we move into an increasingly data-driven world. What could really be the need of the hour is a central regulatory authority to oversee corporate governance issues. Currently, the corporate governance framework draws from the Companies Act, SEBI Guidelines, ICAI Accounting Standards, Listing Agreement, and ICSI standards. A nodal regulator could be the need of the hour.